The buzz about cryptocurrency is increasing, people have heard about it, and more and more people want to find more about it, and find a way to be a part of it. When blockchain technology came, so many things changed, for better, we say. So many businesses have improved, so many companies have started using crypto currencies in their work. The new ideas are coming every day. People want to invest in the new projects. We have the biggest tool in the world, and it is called the Internet. The internet is a enormous base of information where we can do anything. Internet has connected the entire world. One of these projects is Telecoin, an open source, peer-to-peer, community driven decentralized crypto currency with its own economy, the telecom economy. 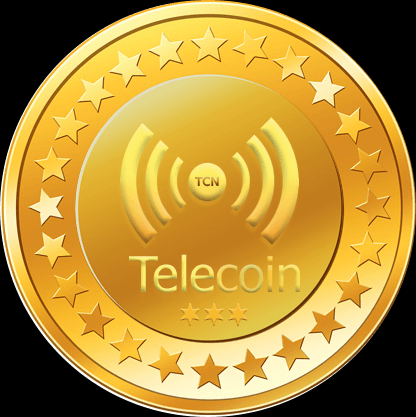 Telecoin (TCN) is an open source, peer-to-peer, community driven decentralized crypto currency with its own economy, the telecom economy. Telecoin allows its users to purchase, subscribe and pay for telecom products and services such as recharging their mobile phones, paying for data subscription and cable television bills from within their wallet using their coin balance. Telecoin also serves as a means of wealth storage and investment in a non-government controlled system called the decentralized blockchain. Telecoin is the De facto crypto currency for the global telecommunication industry. It is the digital currency used as a means of exchange and barter for the telecommunication industry. It is digital currency used for purchasing, subscribing and making payments for telecommunication products and services. Telecoin is building a decentralized service and payment platform for the telecommunications sector. The future success of Telecoin will be directly linked to the adoption of the token by telecommunications companies and users of telecommunications services. Switching larger institutions from fiat payment to include crypto-payments would be a significant step to integrating Telecoin tokens in to the telecommunications industry. Having all telecommunications businesses, customers and service providers using the same cryptocurrency will provide ease of transactions and will link customers to services they want. However, there may be resistance from bigger players who may not be ready to make the jump to cryptocurrency usage. Imagine that of the 7.6 billion people on the Earth, 3 billion were to adopt one globally accepted digital currency and on a daily basis were to recharge their mobile phones, subscribe for data & internet services, pay for digital products and digital satellite cable television subscriptions, pay for hosting & domain name services, pay for voice & data/cloud services; all through one mobile application. This same application will also allow you to make sim card purchases with telecom based companies that will allow their users to use this coin for their spending & daily transactions. Can you imagine the demand pool for that coin? We can. And this is why we are asking you to join our telecommunication crypto revolution to build a great community around ‘Telecoin’ the de facto digital currency for the telecommunication industry services. The token is an ERC20 Standard Token and the symbol for Telecoin is TCN. The ICO has a soft cap of 250 million dollars and a hard cap of 400 million dollars. The ICO has a total of 2 billion TCN coins. The funds generated from the ICO will be used to achieve the road map projects and products the company has planned. The ICO coins will be tradable on external cryptocurrency exchanges as part of the telecom blockchain economy for barter and exchange however the TCN coins will not be used for future planned staking programs. The main ICO has 3 stages with increasing token price: Stage 1 500M Telecoins @ 0.30USD, Stage 2 with 300M Telecoins @ 0.40USD and stage 3 with 300M Telecoins @ 0.50USD. The total number of coins available during the staged ICO sale is 110 million set to generate slightly more than the hard cap value (420 million USD in tokens). Mining and staking of coins is set to begin 6 month after the end of the ICO. Our Initial Coin Offering (ICO) will help raise funds for development of roadmap projects and products. The ICO will utilize the ERC20 standard coin / token built on the ethereum blockchain. We will release a total of 2 Billion ERC20 standard tokens (TCN coins) to ICO participants. These coins will be tradable on external cryptocurrency exchanges as part of the telecom blockchain economy (barter and exchange), but they will not be used for our staking programs. Be a part of this incredible project. Download the whitepaper for the full scoop. Disclaimer: This article was published in terms of the bounty campaign. I am not a project team member or its representative but a supporter of this incredible project.